Grants is a city in Cibola County, New Mexico, United States. It is located about 78 miles west of Albuquerque. 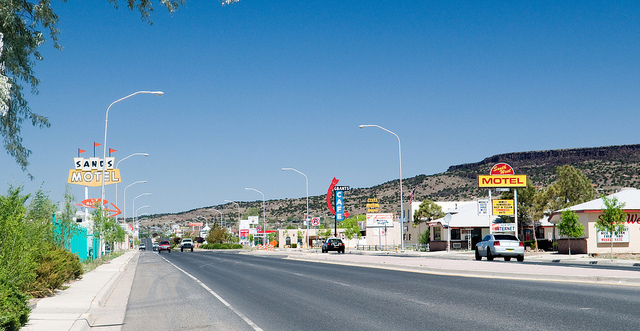 The town prospered as a result of railroad logging in the nearby Zuni Mountains, and it served as a section point for the Atlantic and Pacific, which became part of the Atchison, Topeka, and Santa Fe Railway. Grants is a diverse community of 10,000 people descending from many cultures and backgrounds.